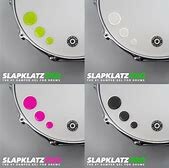 SlapKlatz makes what we believe is the most versatile drum dampeners on the market. 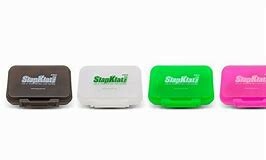 These drum gel dampeners lets drummers easily remove, control and handle unwanted ring and overtones from their drums and cymbals, without sacrificing the tone or the playing feel. In order to do that, there is a few things that needs to be done right. First up is the material. Our gel is developed to be extremely sticky. This enables our drum dampeners to stay on the drums, no matter where you put it. These dampeners even stays on your bottom heads - or the underside of your cymbals for that matter. Next up is size and thickness. This is very important, if you want a versatile and functional tool, to enhance your drum sound. We have spend so much time testing this, and the result is our PRO package. This drum damper kit gives you everything a professional drummer needs, in order to control and improve the sound from his or her drums.